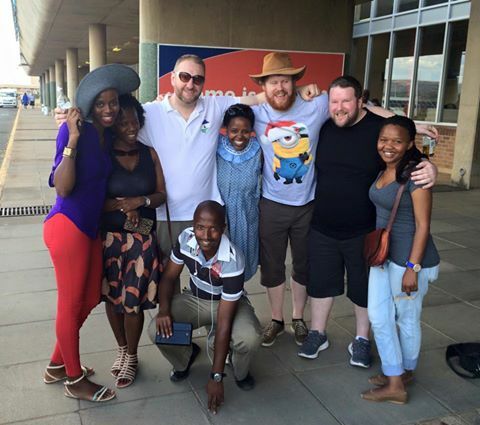 On Friday the 20th of February Dave Corley, Colin Broderick and myself boarded a small plane at Moshoeshoe International Airport Maseru. The previous two weeks had been amazing, exhilarating, exhausting and exciting. A real mix of emotions having made it to the plane with everything we planned more or less done and dusted. As we got on the plane we were waved out of sight by a small group of friends who included Mpeleng, Diny, Lebo, Seitebatso and of course Hlompho. We had made these friends and many more during the #MapLesotho visit. If there were more cars and more space available more people would have come along. We promised to come back as soon as possible to help them as they take an embrionic openstreetmap community into its first year of osm wikis, blog, mapathons and plans to complete the base-map and move on to later stages. Earlier in the week we had trained 25 Assistant Physical Planners up to a high standard on using #HOTOSM, JOSM, and QGIS. And we did a “train the trainer” course with them to ensure they have the confidence and competance to show other people how to use these tools. To supplement these skills with some visibility and engagement we showed the Planners how to use twitter effectively as a tool to encourage more mapping. 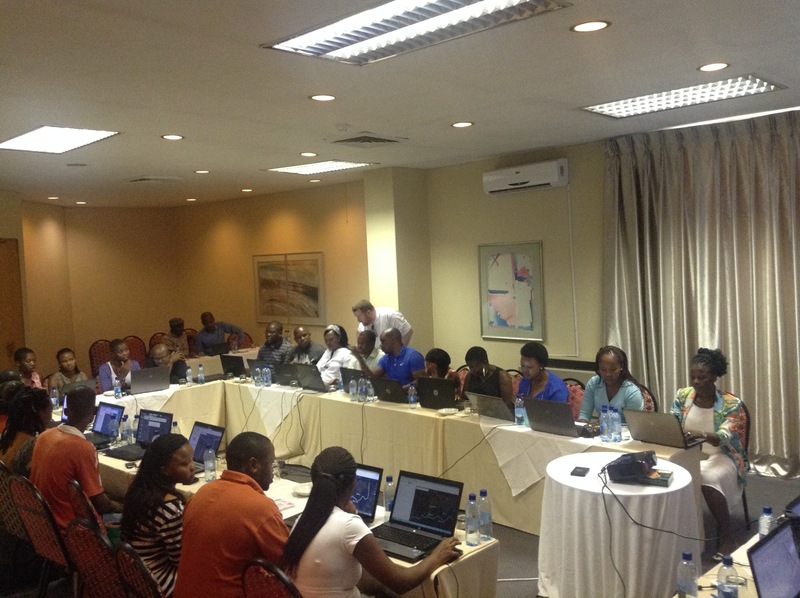 And then we pulled in another 30 Planners to a mapathon on Friday the 13th February, to get their first taste of openstreetmap. 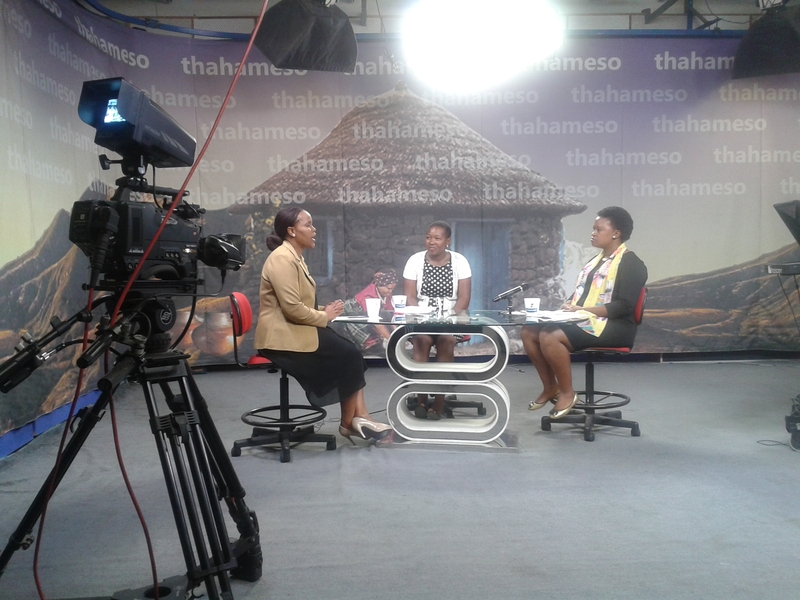 Looking back a small group of Planners went on Lesotho national TV and radio to put the word out to the wider Basotho community. You can’t map a country without at least trying to tell people its happening! This was a measure of the confidence and energy that now exists in Lesotho for mapping the country. Mampho Shale never once stopped smiling on the set at LTV and Mahale Khalane gave a great account of her involvement in mapping the country, in Sesotho. 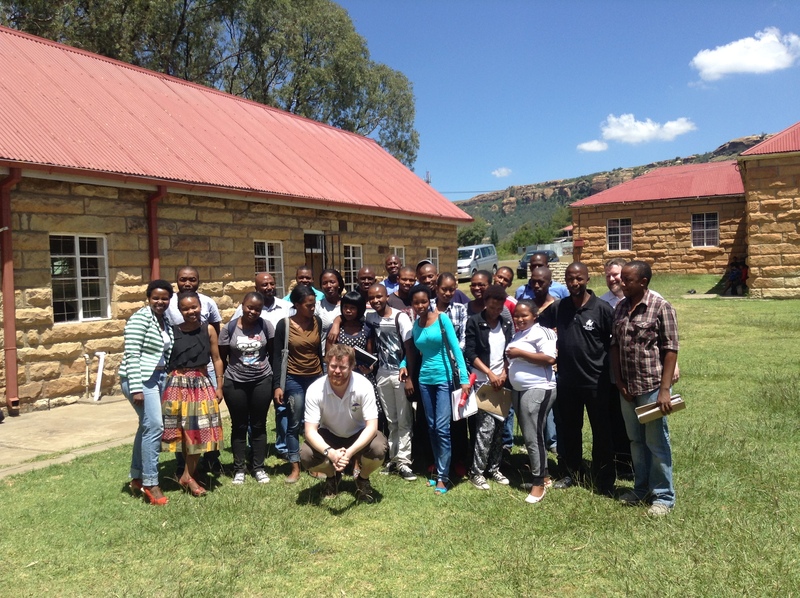 Our visit to the National University of Lesotho was special too. At the time I was amazed at how quickly the students “got it”, realising that the relaxed planning regime, changing climate and pressure on utilities would mean that Lesotho needs to adopt new ways of laying out residential land and servicing its development. And making the map was a natural first step, for both the Planning and GIS classes. 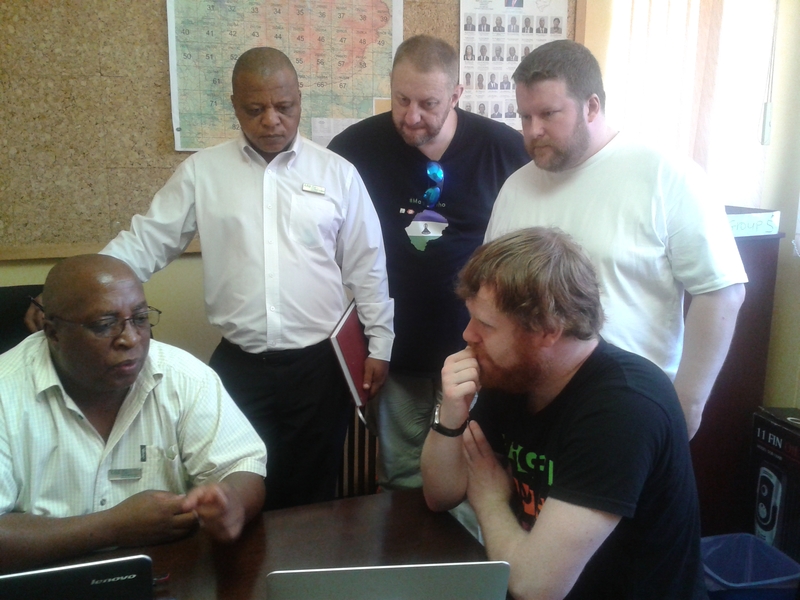 Finally, and by no means least of all the above our engagement with the LAA was one of the most positive and progressive that I have had with a national mapping agency thanks to Ntate Mokheti and Ntate November. It will need to be discussed in detail later, however, we will be working closely with the agency in the interests of Lesotho.